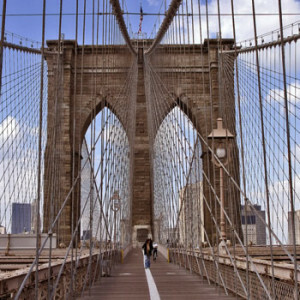 Brooklyn NY is known to be the largest borough in New York. Maidoncall is ready to serve with a trained staff of home maid cleaners, and office cleaning personnel. We are at the ready and eagerly wait the opportunity to spoil you with our residential, and commercial office cleaning services. We offer daytime maid service and office cleaning service in Brooklyn for companies that are extremely busy. We remove cans, cups bottles from desk, clean and sanitize your restrooms, keep your kitchen spotless. Your home bathrooms will be sanitized and deodorized, your bedroom furniture polished, and carpet vacuumed, and floors swept and moped.Our cleaning supplies are all Green will not harm your family or pets, nor any or your office staff. If you are in need of SAME DAY office, or home cleaning services in Brooklyn NY, let us be your Brooklyn maid cleaning service company of choice. Give us a call today so we can start you on a tailored cleaning service program. 888 624 3662. For maids and housekeeping, our staff is made up of the most professional and well trained maids in Brooklyn. We run errands, shampoo carpets, and clean bathrooms and kitchens. We make beds, clean windows, do laundry, wax floors, and clean venetian blind and upholstered furniture for your home, room, townhouse, or brownstone in Brooklyn. We do the dishes and clean baseboards and shelves. We clean skylights, water plants, and clean up after pets. Our maid service in Brooklyn is second to none. Our Brooklyn housekeepers are professional and trained on re-trained on a regular basis. Our employees speak english and are background-checked to ensure the highest level of privacy, quality, and reliability among house cleaning and maid service companies in Brooklyn. If you are looking for home cleaning services with references and good reviews in Brooklyn, NY, look no further. Brooklyn maid and maid services rarely attain the level of customer service and repeat business that our cleaning company is proud of, and have achieved over the past 17 years. Many of our cleaning companies customers in Brooklyn refer us to their friend and colleagues in search of a professional house cleaning service in Brooklyn and all of New York City.